Note: The mustard seed found in Israel such as the white one (which is believed to have been the one Messiah referred to) is very tiny. Others believe it might have been the black mustard since it was cultivated in Yeshua’s days. Both varities can grow up to 15 feet, but the latter normally does not exceed 4 feet. Another mustard plant growing by the Dead Sea grows to nearly 10 feet. That little seed might lay dormant for quite some time just waiting for its time to sprout. And while it is very very small, it contains all it requires to spring up in due time and grow into a fruitful tree. My trip to Germany which had me pass through the “Gate of Forgiveness” while sowing G-d’s Word (newsletter #48,pg.3-4) resembled the Lord’s parable above: ministering in a small town to a few hundred people seemed so insignificant a thing to do; yet the Spirit of prophecy declared it was a seed that would spread through all of Germany and produce good fruit all through Europe. The seed came from Israel, filled with the Word of life and breath of the Holy Spirit. And it immediately produced another seed: the means to follow the “Macedonian call” from Kenya. Upon my arrival in Nairobi at 9:00 p.m. I was happily greeted by a large group of believers who had been waiting for me for 10 hours. It being too late to make the long trip to Webuye, we spent the night in Nairobi. Early next morning we drove in our rented bus to Webuye1 on a road full of potholes and lined with vendors of roasted corns, vegetables and live chickens. People seemed to be walking everywhere while old bicycles and bumpy mini-buses were their main vehicles of transportation. Six hours later we finally arrived, exhausted, “Welcome!” “Karibu!” “Welcome!” I was greeted by a multitude of smiling people in a large courtyard. Shiny white teeth sparkled in dark faces. Overtired, I just wanted to sleep. I entered a humble home. A large plastic sheet with red flower design served as a “carpet”, and curtain-like hangings adorned the walls. The walls were lined with plain wooden chairs covered with doilies. I was led into a room with a large bed, a closet equipped with nails, and the window overlooking the neighbour’s courtyard with roosters and chickens. The room was my hosts’ master bedroom. They, their 6 children and several guest pastors all squeezed together for the night in the children’s bedroom and the living room. While they all had come to pick me up from the airport in Nairobi, the wife of bishop’s co-pastor gave birth to a baby girl. They named her after me, Annelore, because she arrived the same day I did. My first day in Webuye was to be a rest day, but there was no time for resting. A steady stream of guests – excited about the visitor from Israel, the Land where the Messiah was born – kept me busy with their many questions. I was amazed at their politeness and humility: “Karibu-welcome!” was always followed by “Assante-thank you!” and “Buono assefiweh- Praise the Lord!” and ”Amen!” While shaking the hand of the visitor with their right hand, their left hand would touch the elbow of the right arm, body bowing slightly forward in a gesture of reverence. I soon learned to greet as they did, which gave them much pleasure. The 5-day prophetic conference began the next day. We assembled in a humble wooden structure – three sides being covered with thick plastic sheets and a roof made of aluminum sheets. The floor was packed dirt, the seating plain wooden benches. On a podium of more packed dirt, decorated with cans of local greens and flowers, the praise and worship team of 3 or more led us into song and dance. 2The Lord had given me several foundational teachings for Kenya. My main message was “Who, How and What is G-d.” I taught and preached for 5 sessions with many visual illustrations and personal stories to help understand and remember. Little did I realize how much this would serve in uprooting the deeply entrenched idolatry, witchcraft and demon worship! I taught on the significance and importance of correct water baptism, and on the baptism of the Holy Spirit. Other messages were: “Fence of Pride”; “Equal Opportunity”; “Faith like a Mustard Seed”; “Love – old and new commandment: the Lord identifies with me”; “Who we truly are in Yeshua”; “Who we truly are in Israel”; and finally, “Total forgiveness leads to total freedom.” They were thrilled about the messages as they had wanted to learn how they relate to Israel, loving the nation and people of Israel very much and having great respect for them. Most of the people were visiting pastors under the Bishop’s authority, many of whom he trained himself. I soon realized my messages were for them to feed to their flocks as many of them had come out of Catholicism. Their “Macedonian Call” to me had been specifically aimed at learning the Word of Truth from a Jewish/Messianic perspective. I learned that several other invited pastors did not attend because they couldn’t believe a white woman, a “Jewish prophetess”, would come all the way from Israel to minister to them. Indeed I became a sensation wherever we went, for the people had not seen a white person for many years, in some areas for decades. Bishop Christopher provided the food for all. His wife Pnina, his daughters, “Mom” Benighna and “Mom” Jane cooked and served. Every meal included “ugale”, pastry made from fine corn flour which is used to scoop up food on the plate. Ugale is for Kenyans what rice is for Asians. Mom” Pnina (the women are addressed as “Mama” or “Mom”, an honorary title) provided me with a special and tasty diet, which included omelets and coffee for breakfast (Kenyans drink tea, not coffee), lest I got sick from strange food. Bishop Simiyu made sure I could preach twice a day throughout my stay. Throughout the conference visitors got saved and the Lord also had me minister personally. The anointing was very strong and people got filled with the Holy Spirit even from a bare touch. On the last day, Sunday, the Lord had me minister personally to Bishop Christopher and the attending pastors. I asked everyone to remain as witnesses. When they saw the power of the Holy Spirit, they all requested prayer for themselves as well. I ministered for 3 hours non-stop until dark. While visiting the interior of West Kenya, I was struck by both the beauty and poverty of the country. 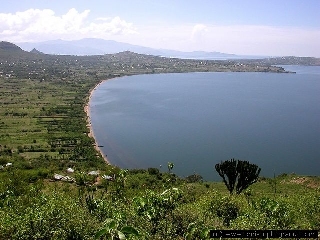 West Kenya is mountainous and luscious, with small villages consisting mainly of mud houses. Women cook outdoors over open fires or inside a hut, breathing in thick smoke. Toilets are outhouses with a mere hole, often filled with flies. Benighna provided me with a movable “toilet” of wood suited for my needs – Praise God! The Bishop hired a bus, a driver and paid for the gasoline (all very costly). With generator, speakers and instruments, the praise and ministry team, we rambled our way over countless potholes into the interior to evangelize. In 3 villages, 521 adults and many children got saved. At Benighna’s village alone, 281 got saved. 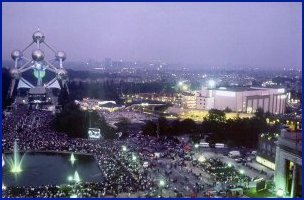 The people didn’t want us to leave and remained with us even until dark. Two brothers, on whom I saw the hand of the Lord, donated ¼ acre to build a church for the new converts. Here, Bishop Christopher left a young pastor in charge of the new believers after the pattern given in Acts. 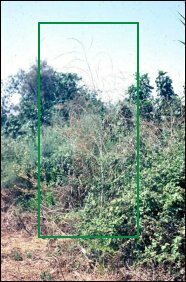 2 Scroll down to “Kenya: Pollution and deforestation caused by Pan African Paper Mills” – about the Panpaper in Webuye, which employs about 2000 Indians but no Kenyans, and no “development” visible in Webuye. A breakthrough was had in this village, which up to then had resisted the Gospel, being a stronghold of witchcraft. Even the village elder came for prayer, receiving Jesus as his Savior, and one of the leading women received a healing in her chest and abdomen, testifying the next day to the whole village (as the two young pastors left in charge of the new believers reported to the bishop). Meanwhile, the pomegranate tree in the village square serves as constant reminder of John 15. After each preaching (also during the conference) I handed the microphone to Bishop Simiyu to invite the people to receive Jesus unto salvation. The Lord showed me it was the Bishop’s birthright as Kenyan, African and as G-d’s faithful and humble servant. This man is filled with deep love for His Lord and compassion for his people. The demonstration of God’s power was both impressive and convincing. Beginning on the second day of the conference, dark rain clouds gathered, despite it being the dry season. As we rebuked the clouds to prevent them from interfering with our ministry, the power of Jesus’ Name proved a mighty witness to all who saw those heavy clouds fade away. Our final 4 days were spent at Bishop’s village. With a rented bus and driver, we drove through beautiful country side toward Kitale. Kitale is one of the larger towns with some white folks, as evidenced by nicer homes. We picked up “Mom” Lilian who lived in a “better” mud house and drove deep into the interior. Here, people had not seen a white person for decades! At first, the smaller children ran from me, never having seen any other skin color than black. But once they overcame their fear, they approached in large numbers, eager to touch me, to shake my hand and look at me. The news of a white woman preaching in a tent made quickly the rounds, and large numbers began to gather in the afternoons, some stopping down by the road to listen but too shy to come near. A container of glowing charcoal warmed us in chilly nights, while kerosene lamps lit the darkness until the young men brought the generator from the tent where we had needed it to empower our microphones, speakers and keyboard. When the generator failed and we lost power at two of our meetings, I used it as an example of how we too need repeated infilling with the Holy Spirit. Just as the generator needed refueling for power, so also do we need the Holy Spirit’s frequent “refueling” to live as overcomers. Consequently, a good number of people got baptized with the Holy Spirit and learned how to get “refueled”. 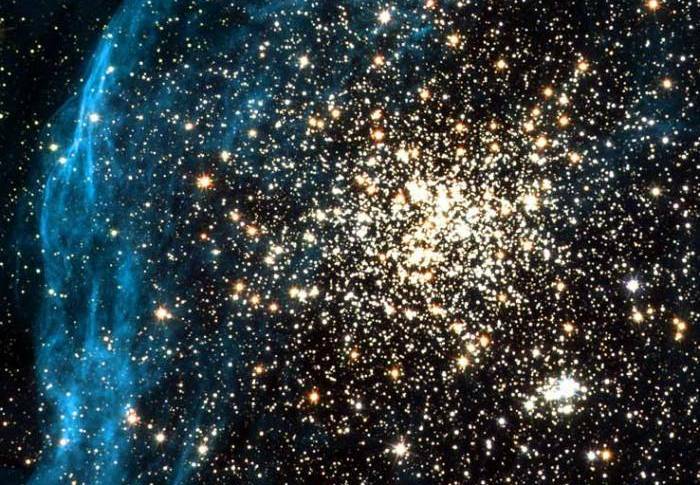 One night, with kerosene lamp in hand making my way to the outhouse, I happened to look up — and shouted, “hallelujah!” I hadn’t seen such a multitude of stars3 for many years, such clarity of sky, with the bright and morning star over the horizon. It was a most beautiful and breath taking sight out there in the wilderness of Kenya! 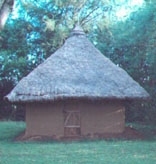 The Lord referred to my ministry in Kenya as “planting a mustard seed that would grow to fill Kenya and Africa at large with good fruit.” During the conference, the spirit of prophecy moved mightily upon me and declared the humble church to be a training center from which students would go forth into all of Africa, preaching, teaching and evangelizing, making disciples of Yeshua. 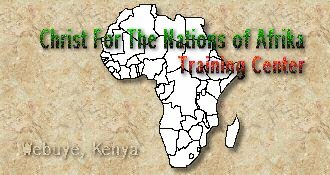 And the Lord named the place, “Christ For The Nations of Africa Training Center,” reminding me immediately of Christ for the Nations Institute in Dallas, Texas, where the Lord had me trained. Would there be a connection? In the Spirit, I saw this training center spawning many other such centers throughout Africa. I also saw Bishop holding outdoor meetings with endless numbers of people. I didn’t know at the time that Bishop Christopher Simiyu is chairman of a pastor’s assembly from Kenya, Uganda and other African nations, and is therefore able to greatly impact the African churches and areas. A personal word of prophecy for Bishop was very powerful, the Holy Spirit visibly filling and touching him. Kneeling on the dirt floor, the Bishop received the prophetic vision and promise with great faith. He has already placed a large banner over the church, reading, “Christ for the Nations of Africa Training Center.” He understands that every fulfillment of promise begins with the first steps of faith. But what touched all of them more than any sermon or prophecy, was my sharing with them their humble homes and way of life. The few white ministers who came insisted on staying in the Tourist Hotel in Webuye (at a cost of thousands of shillings per night), and would not mingle or fellowship with the people. They came, they preached, they received payment and left. My staying and fellowshipping with the Kenyans proved to them that Jesus truly loves and identifies with them. It was by far the most powerful and impacting message! Back in Webuye the pastors who hadn’t come began calling the Bishop, inviting me to minister at their churches. News of my preaching and the many conversions had reached them. But we had to prepare for my departure, something not easily done in Webuye. Not less than 3 hours at the postmaster’s office were required to reserve my flight to Nairobi (the cost being only 5,960 Shillings – a little over $ 100 – as opposed to 21,000 Kenyan Shillings for bus, driver and gasoline). Then we had to bus to Bungoma, the closest town with an AMT machine, for cash to pay for my flight from Kisumu, as they refused Or Tzion’s American VISA card. Another 2 hours at the postmaster’s were spent making a phone call to Sabena to confirm my return flight the required 72 hours before departure. The next day we visited a member of Bishop’s church, a business woman. She wanted me to bless her home and family, and prepared us some omelets, sanddwiches, tea and coffee, after I just had had the same for breakfast. Her husband would drive us the next day to Kisumu Airport. After a scant 3 hours sleep, we rose at 4 a.m. to make my 8:10 a.m. flight from Kisumu. Bishop Christopher and wife Pnina, co-pastor Humphrey (father of baby “Annelore”) and Benighna with daughter accompanied me. We all squeezed in, getting jostled for over 2 hours along another road of potholes. After a tearful and very loving good-bye, I boarded the plane to Nairobi, where I waited 12 hours for my flight to Brussels. The check-in hall had neither chairs nor benches, so this grandmother of age 61 placed two sweaters on the floor and laid down, trying to sleep. Later I had breakfast, lunch and supper at a nearby restaurant. Thank G-d the flight to Brussels was nearly empty and I could lay across 4 vacant seats. It made the 10 ½ hours flight easier. Note: The sycamine tree puts its roots very deep and solid into the soil; it is almost impossible to remove it. But for one who believes like the mustard seed it is not impossible. The tree WILL OBEY!!! Matthew 17:20: “… verily I say unto you, If ye have faith as a grain of mustard seed, ye shall say unto this mountain, ‘Remove hence to yonder place’; and it shall remove; and nothing shall be impossible unto you. Note: The mountain was the Mt. of Olives. No good purpose to have it plucked up and cast into the sea. Point made – for SUCH kind of faith nothing is impossible! The tiny mustard seed believes BIG! We too are to believe just as big! He does not think it impossible that birds will nest one day in his branches because G-d gave him all that is necessary to grow that big. How much more will G-d give His children all they need to do His will on earth as it is done in heaven! Those of you who prayed for my Kenya trip know the specific requests I made for my 12-hour lay-over in Brussels4. I was going to check out 1, Rue de la Tourelle, where my maternal grandfather lived between 1939 – 40 before he was arrested by the Nazis, and a Bank Degroof, in search of my family’s genealogical record he had taken with him. Allow me first to explain why this matter is so important to me and my family. I was already 23 years old (born March 1943) when my mother finally told me this story. However, many years passed and I forgot about it. My life-changing encounter with Yeshua turned me back to G-d whom I had blamed for the Holocaust, and in 1976 He clearly instructed me to return to my people and my heritage. He also confirmed my mother’s story about the family’s genealogical record, and said that He has kept this book like the Dead Sea Scrolls, meaning the book is in a “container” inside a “cave”. My search for this book, initiated 20 years ago, led me to Bank Degroof. has given me favor and who will be most helpful and kind. c) and with what Bank in Etterbeck grandfather did business — Degroof? delay because of the Lord’s favor on me. and owner of this family book of generations. For years I searched only in France because grandfather had been interned at Camp de Gurs and deported from Drancy to Auschwitz. In 2002 a file was found in the Archives Departementales de les Pyrenees Atlantiques at Pau, which showed that grandfather had lived at 1, Rue de la Tourelle, in Etterbeek6, Bruxelles, between 1939 – 1940, where he was arrested for the FIRST time. He was arrested 3 times in all. G-d said to look for the family book where grandfather was FIRST arrested! My grandfather worked as a fur dealer in Etterbeek and must have had dealings with a bank. Of the 3 banks in Etterbeek, we had to discover which one he dealt with. Since our older son’s marriage in July this year I had his picture with his wife on the monitor of my computer. 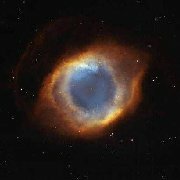 One day I felt prompted to place a picture made by the space Hubble on the monitor — it is a nebula called “Eye of G-d”, for it looks exactly like a giant eye out there in space. That same day I also checked the 3 banks in Etterbeek. The web site URLs of the first two banks did not work. 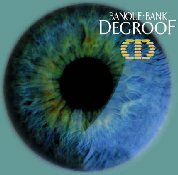 When I clicked on the URL of Bank Degroof, this image came up — nothing but an EYE! Meanwhile, I was preparing for my trip to Kenya. I decided on Sabena Airlines which would give me a 12 hour lay-over in Brussels upon my return to Israel. Thus I would have enough time to find 1, Rue de la Tourelle and Bank Degroof. I prayed, making very specific requests, one of which was for a very kind Taxi driver, who would wait for me and bring me back to the airport. As it happened, when I landed in Brussels, I took a train from the airport to Bruxelles Nord and waited at a Taxi stand. Before I could pull out my city map, the two taxis standing there left, leaving me stranded! However, shortly afterwards another pulled up and agreed to take me to 1, Rue de la Tourelle. Across his taxi meter scrolled the words “Shabbat”, “Shalom” and “Judaica”! Here was a Jewish taxi driver! I began to speak about my 20-year quest for my family’s book of generations that was bringing me to 1, Rue de la Tourelle. He was intrigued! My Jewish taxi driver had not stopped by the Bruxelles Nord train station in over 17 years! Surely the hand of G-d had brought him to me now! My kind Jewish taxi driver helped me check out 1, Rue de la Tourelle (now a Pizzeria); drove me to Bank Degroof where he waited for me, took me to the Musée Juif de Belgique for additional information (where I obtained the address and telephone number of the former Jewish owners of Bank Degroof), drove me to the Cercle Ben Gurion for more contacts, and finally back to the airport. All of this without charge! He was the precise answer to our prayers! He even made important phone calls for me. At Bank Degroof, however, our prayers were not entirely fulfilled. While I had immediate favor with the personnel and the director in charge of the safety-deposit boxes, he was not my Belgian aristrocrat friend Constant. I had prayed to be met by him, as his family was in the banking business. Monsieur Eric took my documents to check the archives but found nothing. My grandfather was not listed as having had a safety-deposit box in Bank Degroof. My disappointment was profound. 6 These excellent city and street maps are by ismap.com; in the meantime I have found yet another address, prior to the above, where grandfather had stayed: 70, Place Jourdan, in Etterbeek. 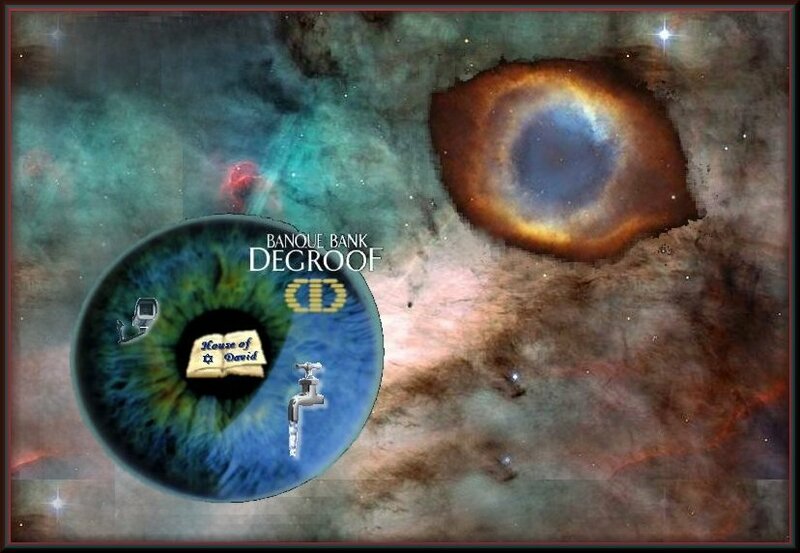 Monsieur Eric wanted to know what made me believe Degroof had been grandfather’s bank. I told him that while there are many banks in Bruxelles, there are only 3 in Etterbeek. Of these 3 only 1 came up on my computer, with an eye corresponding to the “Eye of G-d” I had placed on the monitor. This led me to Degroof. He told me that the original owners of Degroof was a Jewish family and gave me their name, but that the father had died in 1958. His son lived in Switzerland. No one of this family lived in Belgium, he said. This information convinced me even more that Degroof had been grandfather’s choice of bank, as surely he would have chosen a Jewish banker. But how to find these original owners? My taxi driver Johannes took me to the Musee Juif which was also disappointing. However, a lady there happened to know of the former Jewish owners of Degroof, and had their address. Although their phone number was unlisted, she smiled, for she herself had their phone and fax numbers. Johannes called for me and I was able to talk to the Baroness and receive her promise of assistance. Later at the Cercle Ben Gurion, I met another lady who worked for the “Service Des Victimes De La Guerre“, who was responsible for checking all possible Jewish files and accounts dating back from WWII in every Bank in Brussels. If anyone could find a trace of my grandfather – I was assured – it would be her. Then Johannes drove me back to the airport. I arrived at home totally exhausted from my 50-hour trip. The disappointment of not finding the family’s genealogical record proved so intense I immediately fell very sick with a terrible chest cold. Strangely enough my husband fell victim to the same attack the very next day. Could some witchcraft from one of the Kenyan villages have had something to do with this sudden illness? In conclusion, my quest of faith in Brussels was not entirely in vain. May my search be crowned at last with unearthing this family treasure, which will repair the breaches and close up the gaps in the “Sukkah of David” (see Amos 9:9-11) and make of it a “tent” (an “ohel”) in which G-d will prepare a throne for our Messiah Yeshua (see Isaiah 16:5). While they may be looking for something grand and impressive – and not for a fragile “sukkah” turned into a humble “ohel” – their sudden desire for the reinstatement of the monarchy and their temple ritual ceremony may indeed be a sign of the soon reemergence of our family’s genealogical record, of “The Wise Stock of Solomon”.